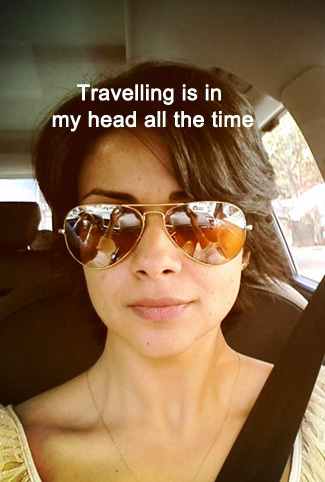 YES – It’s Gul Panag and NO – It isn’t the shooting of any film! It’s actually a scene from her real life wedding. Well, if it’s Gul, you’ve got to expect the unexpected. With over half a million (and counting!) followers on Twitter including me, she needs no introduction. 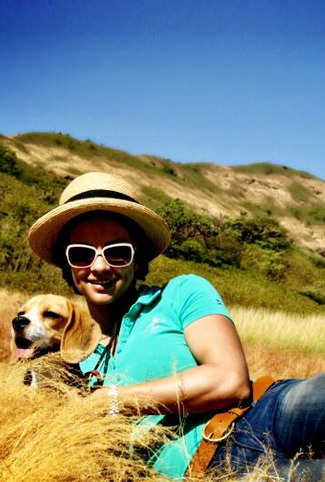 A former Miss India, model, actor, adrenaline junkie, fitness buff, a serial road tripper (and you thought Emraan Hashmi has exclusive rights on the word “serial”) and now, a part of the upcoming travel adventure series on National Geographic Channel, Endeavour All Terrain, Gul is the one person who truly deserves a place on the mantle of this Celeb Travelogue! Disclaimer: You might want to fasten your seat belts because I’m going to take you through a bumpy yet adventurous ride of the witty, pretty and gritty lady, Gul. Trust her driving skills (irrespective of the vehicle in hand), not mine! BG: Define Gul, the traveller. Gul: Someone who likes to take the road less travelled, making her own path! BG: If you were to choose a celebrity as a travel buddy, who would it be? Gul: I wouldn’t go with a celebrity. Too much attitude, too much baggage! BG: We know about your affair with bikes! What’s your favourite biking destination? Gul: Ladakh hands down! It’s a risky yet challenging terrain that gives me an adrenaline rush. I love riding bikes (Royal Enfield makes Gul’s heart flutter) and Ladakh gives me the opportunity to pit stop at dhabas and explore the best chai and food. 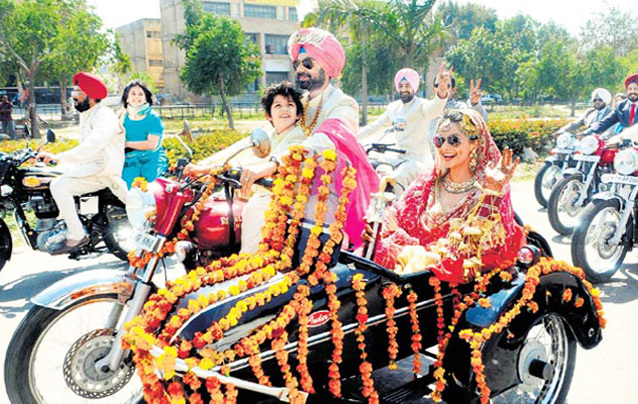 Gul: One summer almost 10 years back, I went biking to Leh and Ladakh with Rishi, then-boyfriend and now-husband. I just carried one light sweater along not realizing that there would be three treacherous passes with 20 feet of ice lying ahead. The chilly air cut through us but giving up has never been in our dictionary. So, we continued on our journey and reached Rohtang Pass around 8 pm in the freezing cold. By this time, we were hugging the silencer of the bike to feel alive. It was one hell of a trip to remember! BG: Adventure sports you like? Gul: Skiing, snow biking, snowboarding! I am madly in love with the cold weather and that’s why I love Finland. It offers me all of these. BG: You have always talked about growing up all over India since your father was in the army. What has that experience added to your personality as a traveller? Gul: Travelling as a culture doesn’t come to anyone as first nature. It was popularized by the armed forces since they had the intent and it was also part of the job. I enjoy travelling mainly because I got the opportunity to travel so much as a child. BG: What is your opinion on women travelling alone? Gul: I do not recommend it at all (I could sense the disappointment in her voice). Unfortunately, India as a whole is not safe for women travellers, especially single women. BG: You are the only woman to feature in Nat Geo’s All Terrain show. How kicked are you about it? BG: Do you ever get mobbed while travelling? Gul: Not really. Since I’m not a commercial actor who dances and sings, people just nod and smile when they recognise me. Celebrities who get mobbed cater to a very different kind of audience, while I do films for folks like you and me.